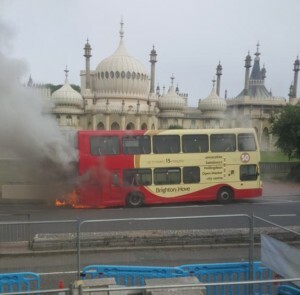 A bus has caught fire outside the Royal Pavilion in Brighton this morning (Thursday 4 June). Fire crews were called to the blaze shortly before 6am. Paul took this picture and posted it on Twitter. Police have closed the road while firefighters put out the flames. A spokesman for Sussex Police said: “A bus caught fire in Old Steine just before 7am. “Nobody was reported to be on board at the time. “The fire service are dealng with it and the road in the immediate vicinity was closed to enable them to do so. 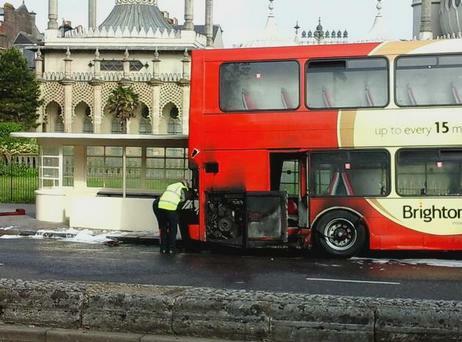 A spokesperson for East Sussex Fire and Rescue said: “East Sussex Fire and Rescue Service were called to reports of a bus on fire in Brighton this morning. 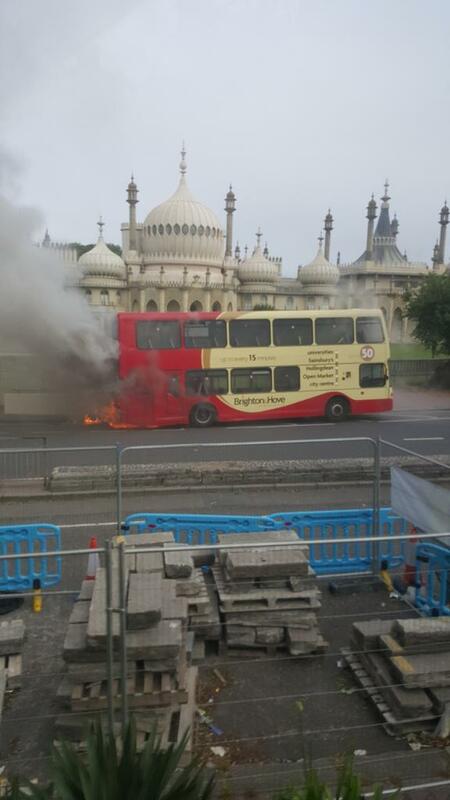 “One fire engine from Preston Circus attended the incident on Old Steine at 6.54am on 4 June 2015. “There were no reports of any casualties. Northbound services are unable to serve Old Steine. Buses are being diverted via St James’s Street, Upper Rock Gardens and Edward Street.